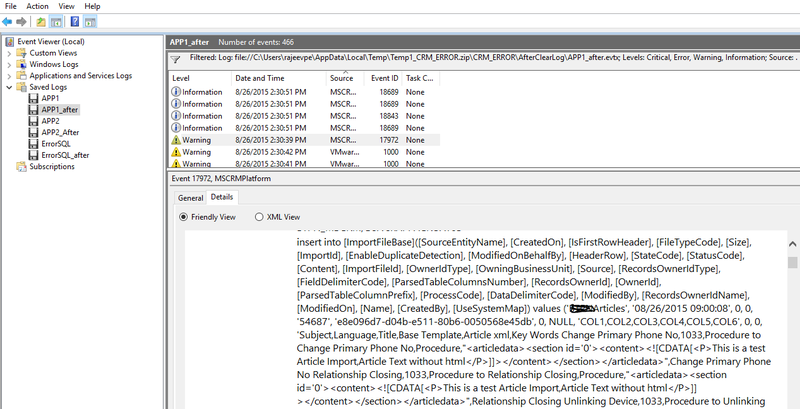 Other day I got a SQL Timeout error while importing Article’s using a CSV file which is of 75 KB size. Below are my troubleshooting steps and Fix . Verified both SQL Server and CRM App server’s event viewer. 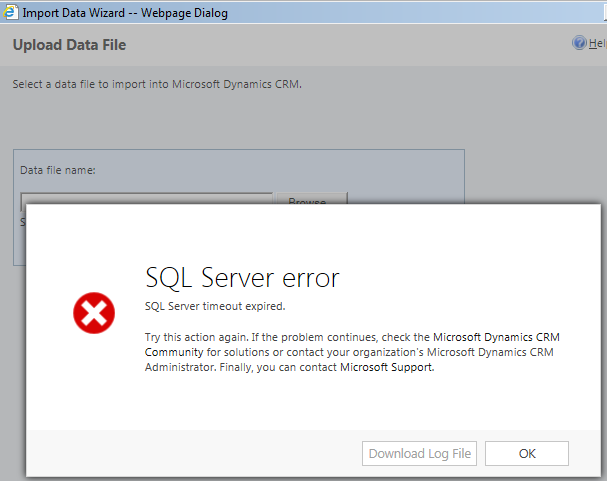 On CRM App server there was only one warning with an ‘Insert’ query. However there was no error information in the log, it’s just that Query was not completely written in the log. On SQL Server machine there were no Error or Warning event logs. But there was an Information log around same time which had useful information. “Autogrow of file ‘mscrm’ in database ‘XXXX_MSCRM’ was cancelled by user or timed out after 30824 milliseconds” information. 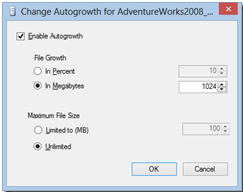 So, the issue was with my CRM DB (i.e.XXXX_MSCRM) setting’s “AutoGrowth” property which has higher ‘File Growth’ value. It is recommended to keep 1024 MB for data files and 256 MB for log files. Right click on the database. Then go to the Files section.